Advent. What a wonderful time. Holiday shopping, Santa Claus, parties, decorations, gift wrapping, tree trimming, more parties. Well no. Advent is intended to be time of spiritual preparation for the commemoration of the birth of Jesus. Along with the joy, it’s really a minor penitential season, a time of introspection and thinking of the needs of others as we ponder the greatest gift ever, the birth of our Savior. And then it’s Merry Christmas, not Happy Holidays. Tim Beehler, a Blessed Teresa parishioner, was thinking about how Christmas seems to become more and more commercialized every year, with nothing to do with its real meaning. He pondered the Beatitudes and the Corporal Works of Mercy, which really are the Beatitudes in action. 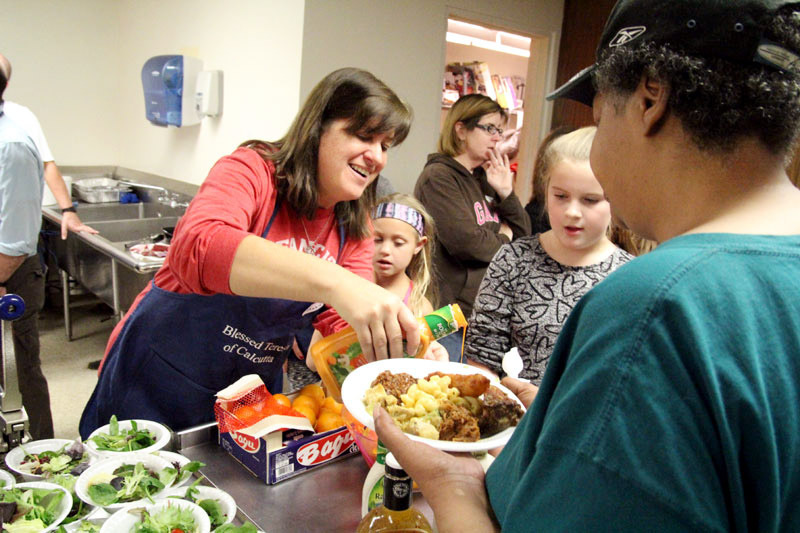 “It’s giving yourself, giving time for people in need,” Beehler said. In November, Beehler brought his concerns to Father Paul Brandt, pastor of Blessed Teresa Parish, who readily agreed, especially because Pope Francis declared a Holy Year, the Jubilee of Mercy, which began Dec. 8, the Feast of the Immaculate Conception of the Blessed Virgin. Father Brandt met with representatives of all the committees in the parish to come up with a plan for living the Corporal Works of Mercy. “The challenge is asking our parishioners sometime during the Advent Season to perform one intentional work of mercy as a spiritual preparation for Christmas,” Father Brandt said. Prayer is also a necessary part of the program. Blessed Teresa has a well-attended Tuesday evening Mass, especially geared for those people whose work schedule makes it impossible to attend morning weekday Masses. At this Mass the Chaplet of Divine Mercy is being recited, a practice that will continue through the entire Year of Mercy. It will also be recited at special penance services. On Dec. 13, the day the Archdiocese of Philadelphia officially commenced the jubilee year by opening the Holy Door and Solemn Mass at the Cathedral Basilica of SS. Peter and Paul, Blessed Teresa Parish had a Holy Hour and Exposition of the Blessed Sacrament followed by the regular Sunday evening Mass for those who were not able to attend the Cathedral ceremony. 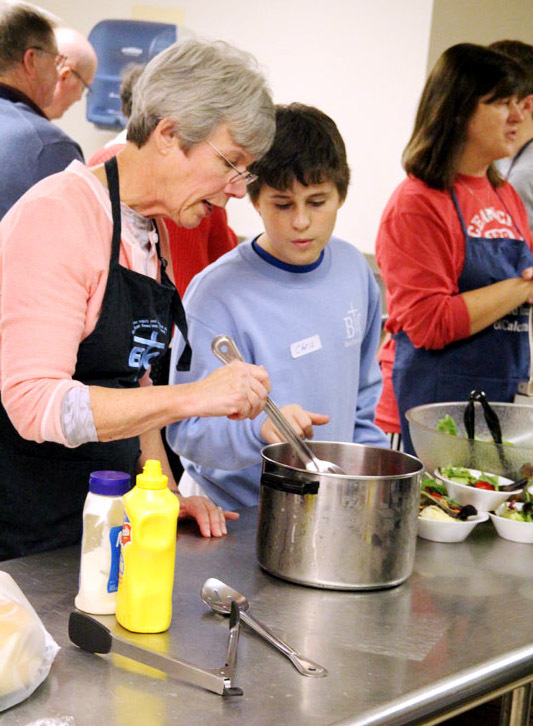 * Sort and pack food on Dec. 20 for the parish Mother Teresa’s Helping Hands Ministry. Donate food to the ministry.